Cardiff Born Davey Newington Aka Boy Azooga. Played drums in Charlotte Church’ Pop Dungeon under the pseudonym “Bongo Fury” and other Cardiff bands such as Keys and Monico Blonde, Davey began writing his own music and recording it round his mate Dr Ed Boogie’s house. Recording and layering everything himself, he decided on the live front he needed a band. He recruited friends Daf, Dylan and Sam to form the four headed instrument swapping psychedlic dance rock outfit known as Boy Azooga. Irish Alt Rock band Hunkpapa are from Armagh . They are four eccentrics with a loose grip on social norms and reality - specialising in anthemic bangers. Hunkpapa haven’t released a single note of music to date yet have scored plaudits from the likes of BBC Radio Ulster and BBC Radio 1. 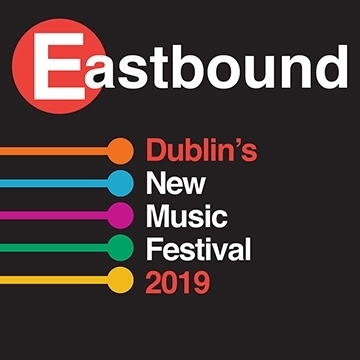 Eastbound Dublin 2019 is about capturing the spirit of new and breaking artists and capturing the imagination of a devoted, music-hungry city like Dublin and bringing it all together to create making meaningful beginnings. Featuring the very best new and breaking artists over six nights in some of Dublin’s best music venues: The Sound House - The Workman’s Club - Grand Social - Whelan’s - Button Factory.